Cre8tive is a premium WordPress theme for the Genesis Theme Framework from which is available in the StudioPress MarketPlace. The theme has a colourful design with a unique homepage layout to draw readers in. 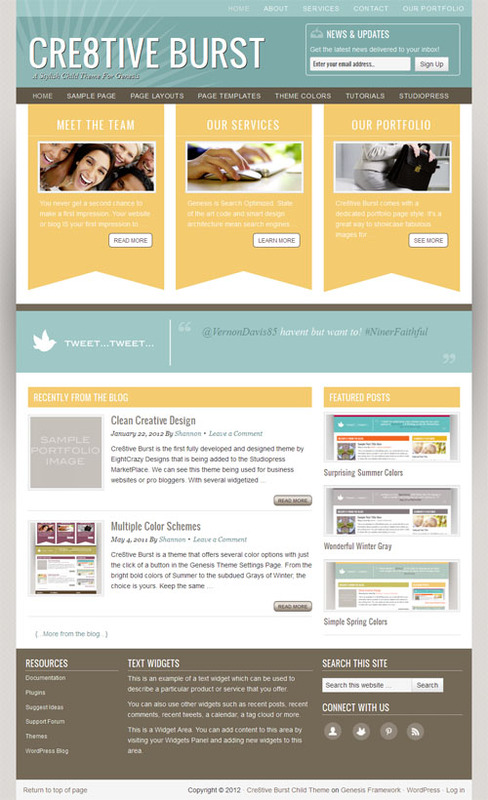 Features include 4 colour styles, 3 layout options, custom background and header, featured images, theme options and more.